Why Do Cherry Blossoms Spring Up On Trees And On Your Back? 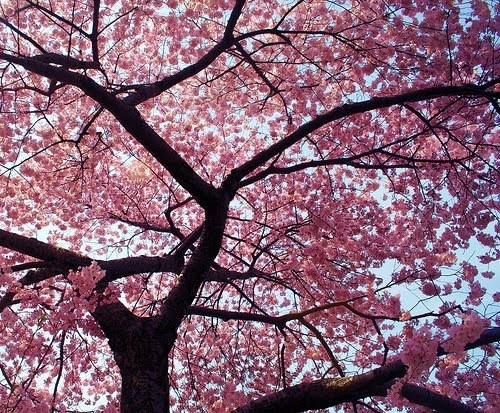 The cherry blossom tree is an amazing sight. Beautiful to behold and beautiful to experience as the cherry blossoms fall to the ground —scattered about by wind and rain. The brief life cycle of the blossoms become truly significant—anticipated and appreciated for all their beauty. The significance of the “cherry blossom” from beloved tree to blossom to festival to significant cultural icon goes back hundreds of years. What does it mean? The cherry blossom represents the fragility and the beauty of life. It’s a reminder that life is overwhelmingly beautiful but is also tragically short. When the cherry blossom trees bloom for a short time each year in brilliant force, they serve as a visual reminder of how precious and how precarious life is. Why Girl had a significant loss several years ago. To transform the pain and scars into beauty, she chose the cherry blossom as a design for a tattoo. For Why Girl, cherry blossoms celebrated life after illness. The intricate tree design was a beautiful canvas tattoo perfect for a back-piece. 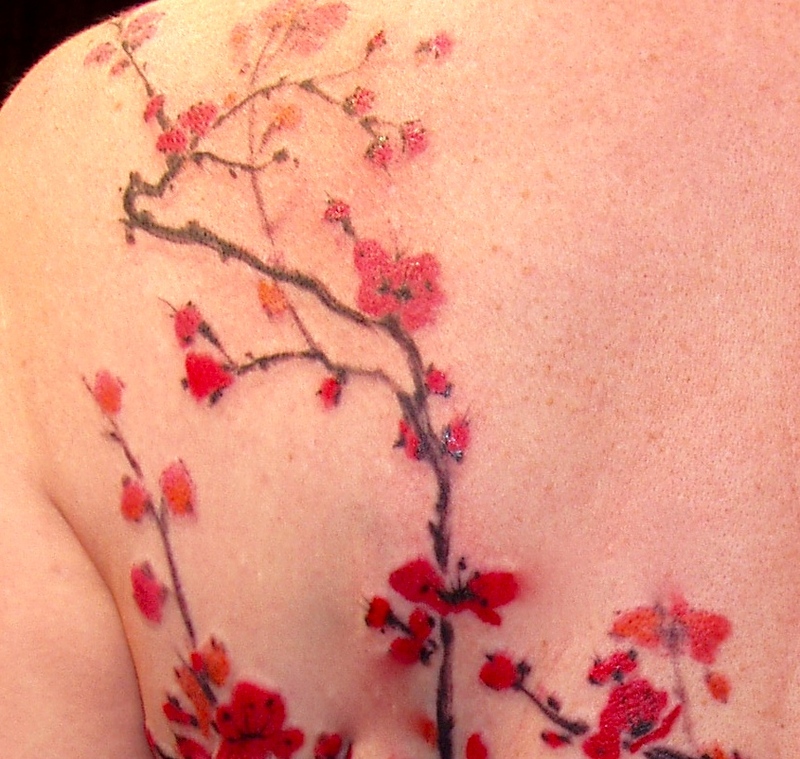 The Japanese cherry blossom tattoo with bold pink colors, delicate, paper-like leaves engraves indelibly on the body a feminine and fleeting reminder to live a life of beauty and be present in the moment for that is all we have.